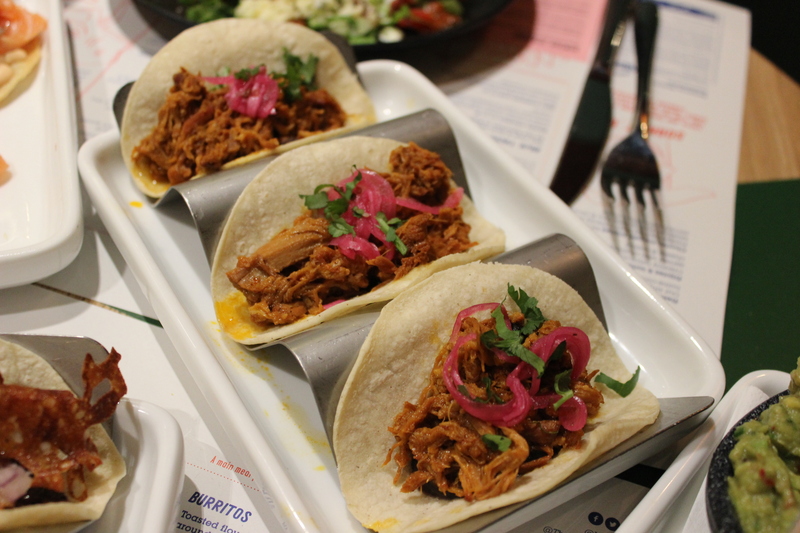 Last month I was lucky enough to be invited to the press launch of Wahaca in Southampton. Sometimes I need to pinch myself – I really am so grateful to every restaurant kind enough to throw open their doors for me to share their delights with you all! 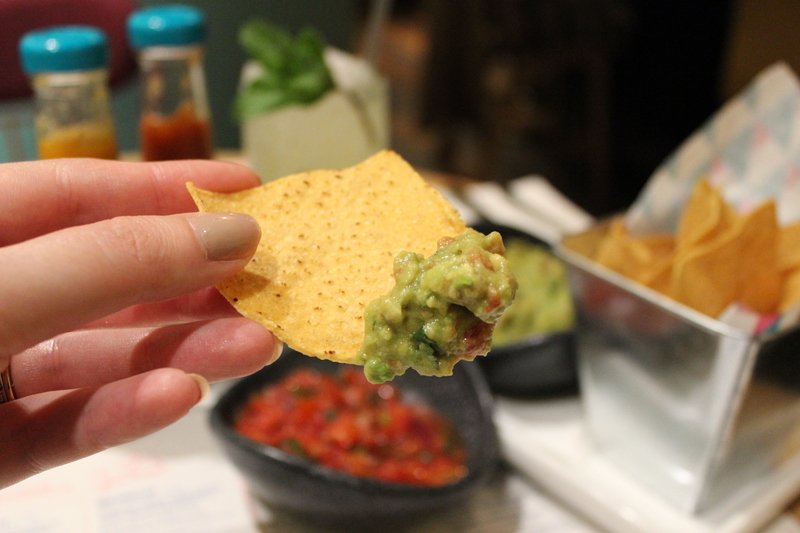 Since that first visit I’ve been dying to return, so when I found out that Wahaca was coming to Southampton, I genuinely couldn’t believe my luck! And when I was invited to the press launch, of course, I couldn’t have been happier to attend. 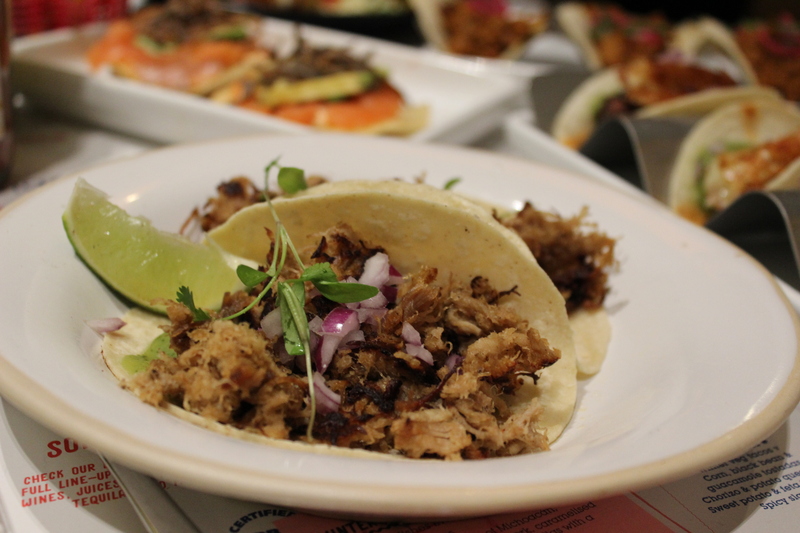 To review the menu, we selected a variety of dishes from the Street Food menu – and believe me when I say it was agony to choose. 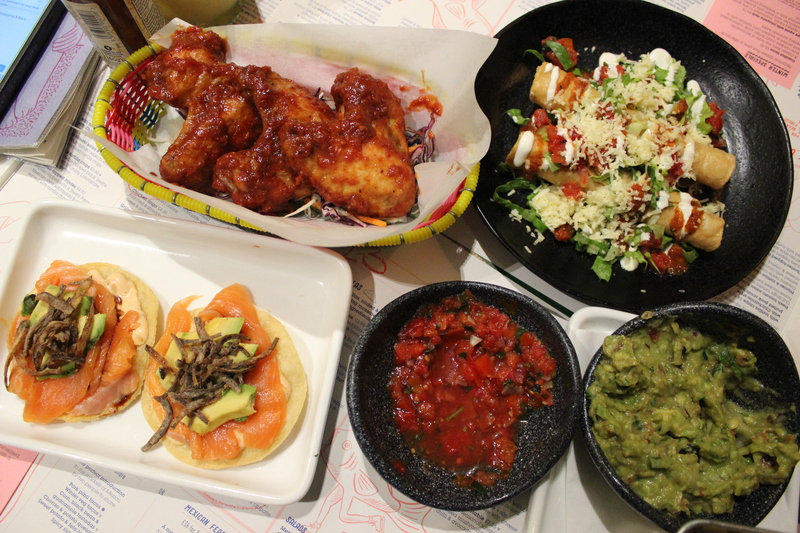 If you want to take all the guessing out of it, you can order the Wahaca Selection or the Mexican Feast (£23 / £36 for two to share), which is a curated selection of incredible dishes. But you know me, always go off piste where possible! 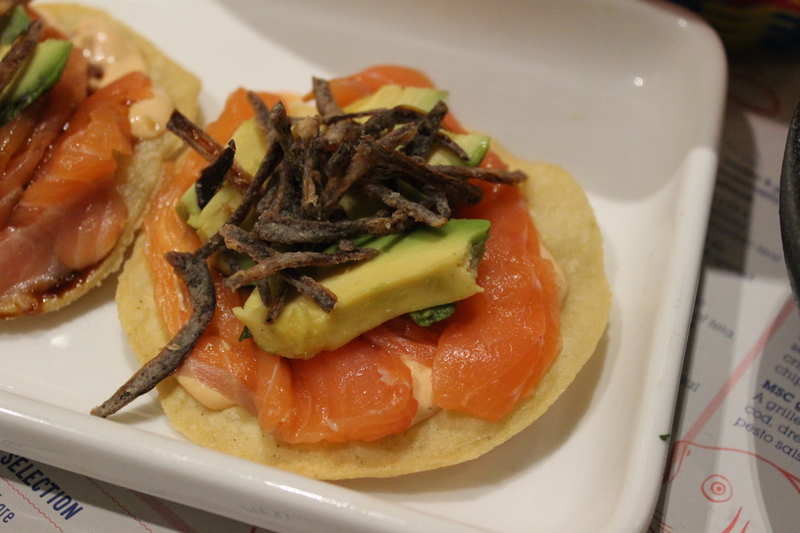 First up, and a genuinely impressive dish, was the Mexico City style salmon sashimi tostada – an absolute revelation! 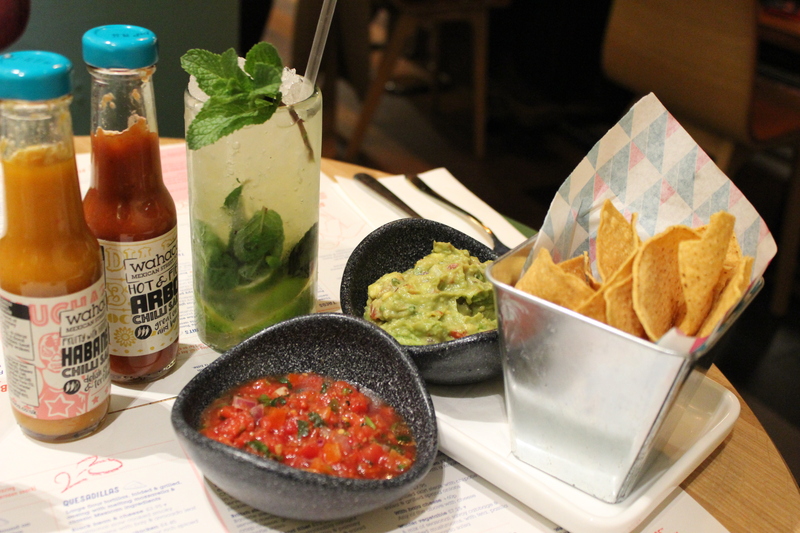 I love sashimi so I was keen to get Wahaca’s take on this classically Japanese dish. The soft, creamy texture of the salmon went perfectly with the crispy tostada, and the deep fried onions on top added a brilliant punch. The chipotle mayo gave a taste similar to a California roll. 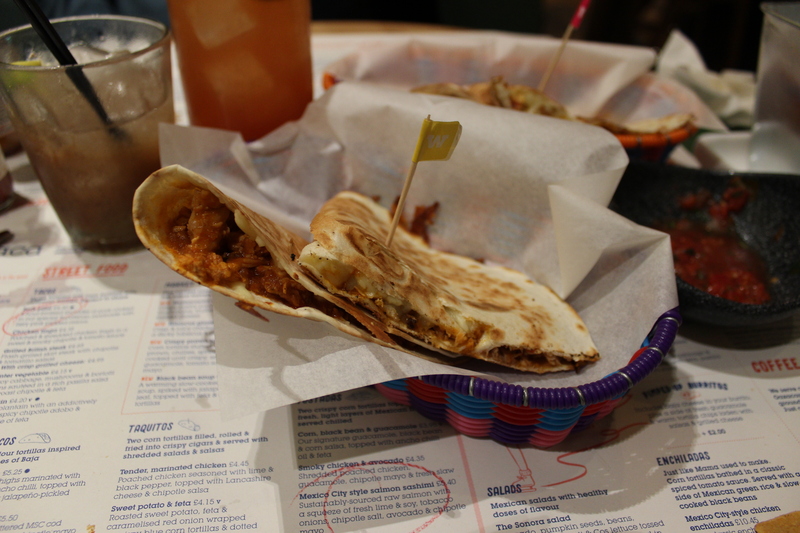 It’s this streak of rebellious inventiveness that makes Wahaca such a fantastic place to eat. The riot of flavours continued as we devoured hibiscus glazed wings (satisfyingly sloppy, mildly spicy, fried and glazed with a sweet sauce), pork pibil tacos (soft corn tortillas with velvety black beans and tender braised pork, topped with zingy red onion), and carnitas tacos (crispy, chewy, deeply flavoured pork with a gorgeous caramelised edge, offset by silky guacamole and scattered with spicy chunks of raw red onion). 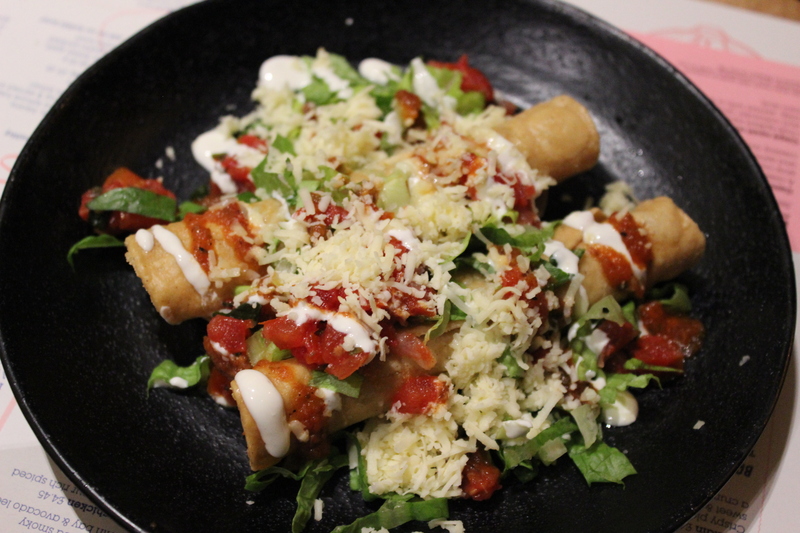 And it didn’t stop: chicken taquitos – addictively crispy and satisfyingly crunchy corn tortillas rolled into tubes with succulent poached chicken, topped with cheese and fiery salsa. Grilled steak tacos with crisp grilled cheese, accompanied by tomatillo salsa – a fresh and citrusy fruit similar to a tomato. With the crispy, rich cheese and cut with the bright, zingy salsa, this was fabulous! We rounded off the gluttony with a pair of quesadillas. 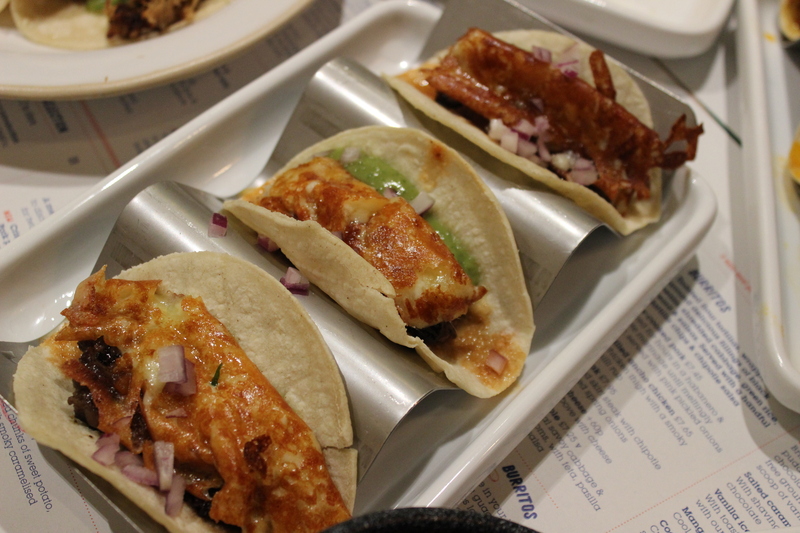 My favourite was the chorizo and potato quesadilla – a lovely crispy tortilla encasing an unctuous blend of diced potato (firm and waxy, my favourite!) with fried chorizo, married together with a sinful helping of cheese. 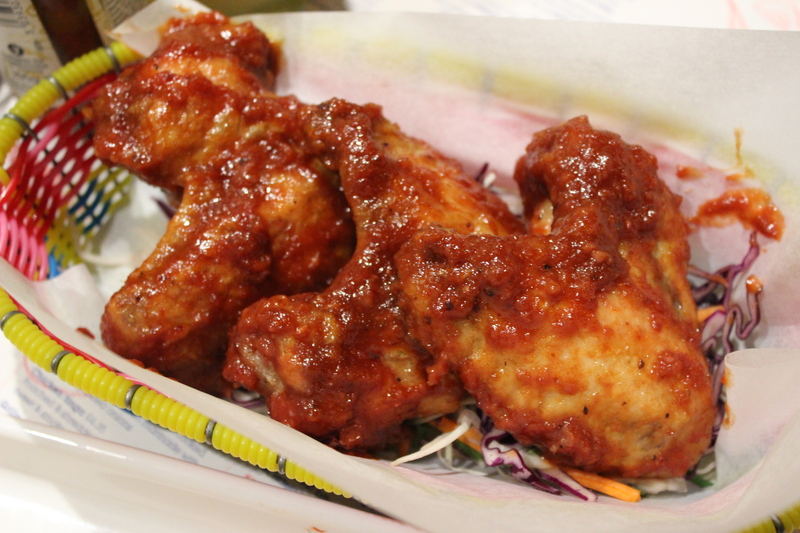 My husband preferred the smoky chipotle chicken, with a rich, deep savoury flavour. But wait, there’s more! You didn’t think I’d leave a Mexican restaurant without eating churros, did you? Ha ha ha, never! 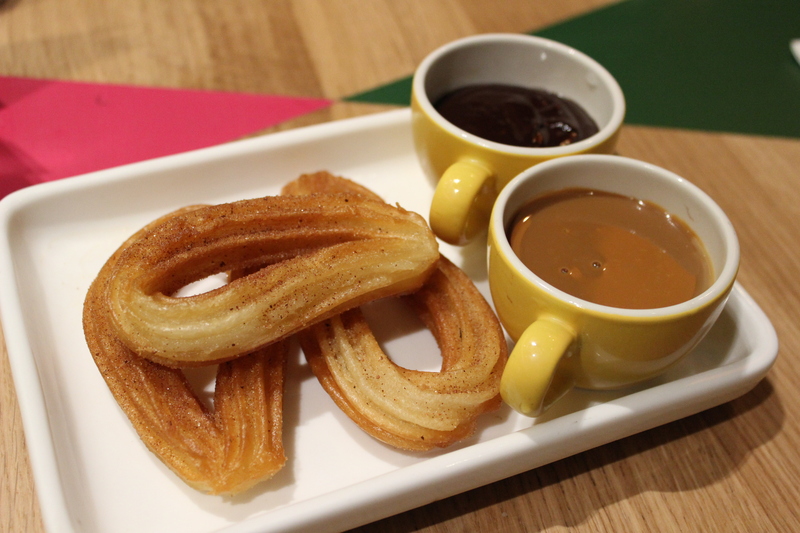 A good churro needs no introduction or explanation. It’s simply perfection: brittle, crisp dough fried to a golden hue, and dipped in molten chocolate. Our waitress urged us to try the caramel sauce and I’m glad I did, because it was utterly divine. 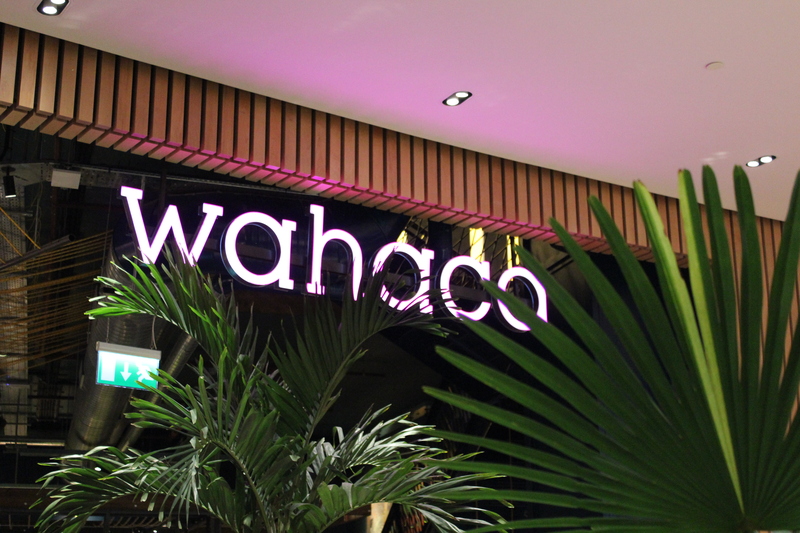 Wahaca means an incredible evening of inventive Mexican food, a giant spread you can share with your mates or your family, a celebration of life and happiness. 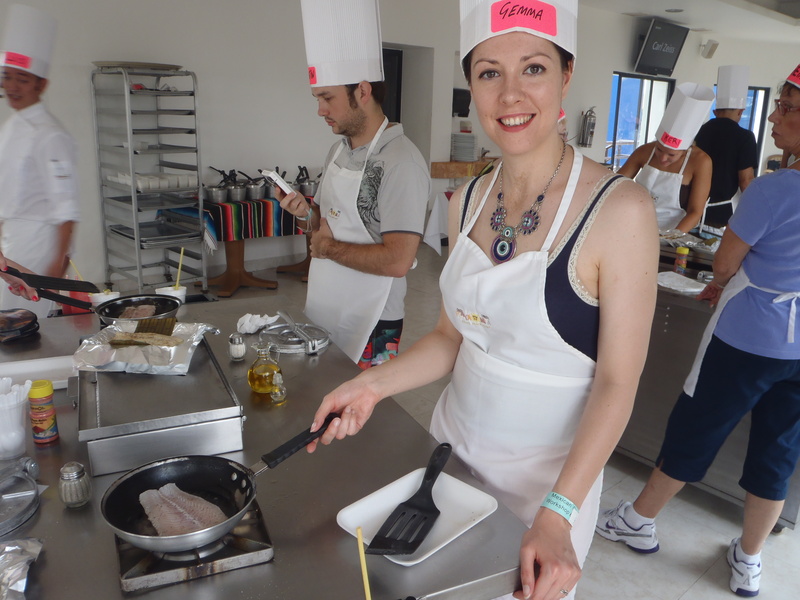 It’s one of my favourite places, and I hope you’ll try it soon! 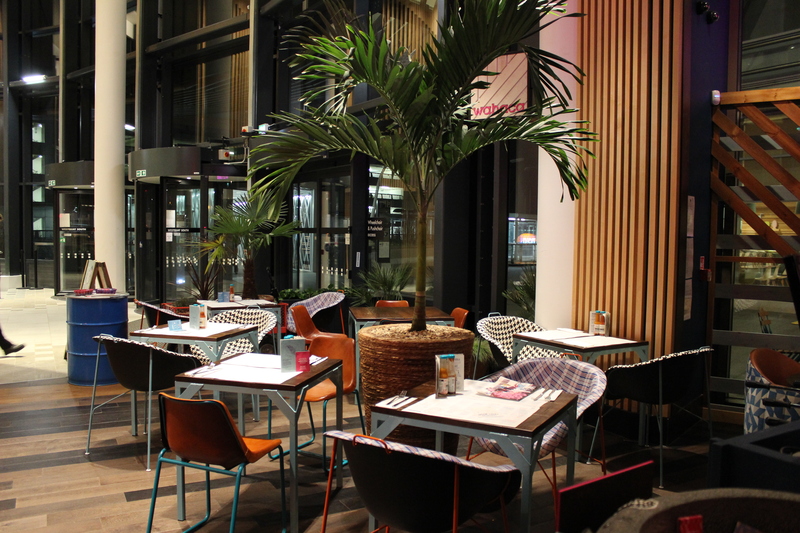 Visit Wahaca here to see menus and to find your nearest branch. My meal was complimentary for review purposes, my opinions and photos are my own. 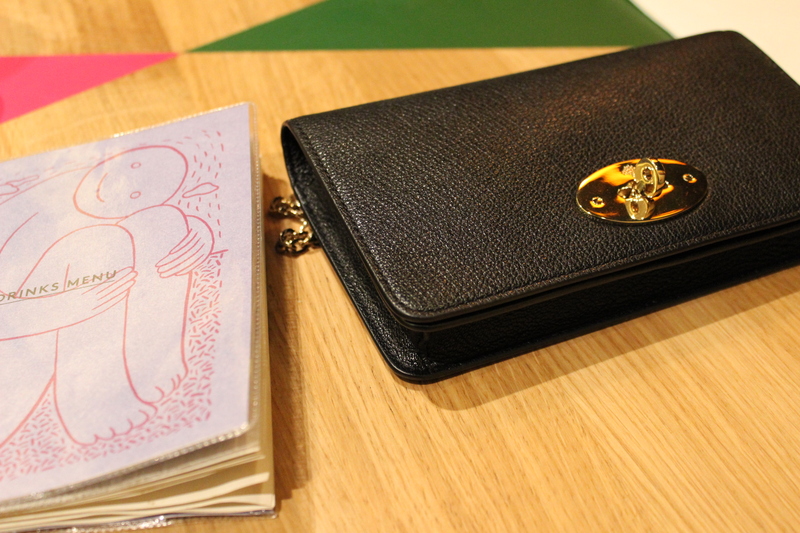 FFF’s Fashion Stories: March On!